P.R. — Public Relations. A well-reviewed company looks better on a list than one with minimal or no reviews. S.E.O. — Search Engine Optimization. Reputable businesses will generally perform better in search engines than poorly-reviewed ones. Eventually, despite your best efforts to please your customers, you will cross paths with a bad customer. You might not provide a bad service or product to this person, but it’s not satisfactory to their standards. Maybe their standards are too high, even unreachable. Maybe they just like to complain. No matter the reason, they post a negative review of you, and it’s available for everyone to read. What do you do now? If the Google review falls under one of those 4 categories, you can flag it as inappropriate. A Google moderator will review your request and choose whether or not to honor it. Do this by clicking the “flag” icon next to the offending review. Otherwise, the review, although damaging to your business’ reputation, is legitimate. Individuals have the right to compose 1-star reviews to reflect their poor experience with your business. So, what do you do now? Contact the reviewer, if you feel comfortable doing so. Have an honest conversation, and let them know their review hurts your reputation. Offer to make the situation right, possibly by offering a coupon or refund, and ask if they will remove the harmful review. 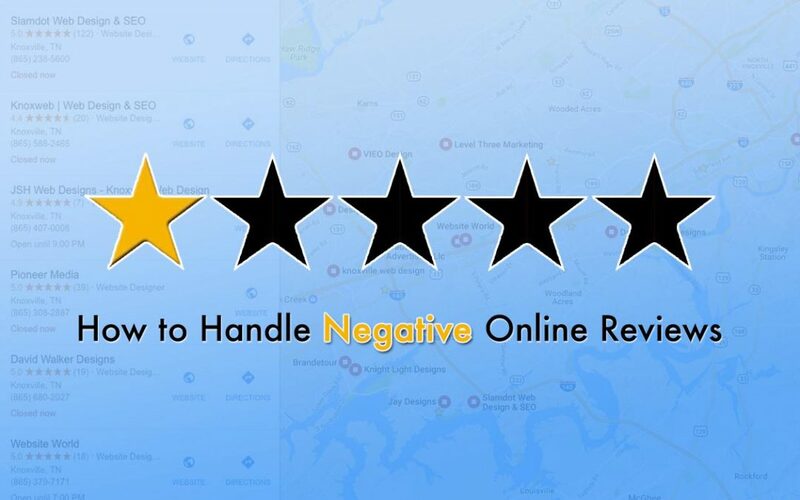 Respond directly to the negative review online. Google has a place in Google My Business to do this. You should be direct and apologetic. Do NOT offer anything, since others will see this response. Try to actively collect positive, 5-star reviews. More 5-star reviews will bury the negative 1-star ones. The more 5-star reviews, the higher your business’ average rating will be. Address issues constructively. Don’t use responses to advertise. Negative reviews are just part of running a business. These will hit your business every now and then. Be professional, polite, and responsive. Keep your average rating high by actively asking happy customers to give you a positive online review. Stay on top of your brand’s online reputation, and may your business enjoy much success!